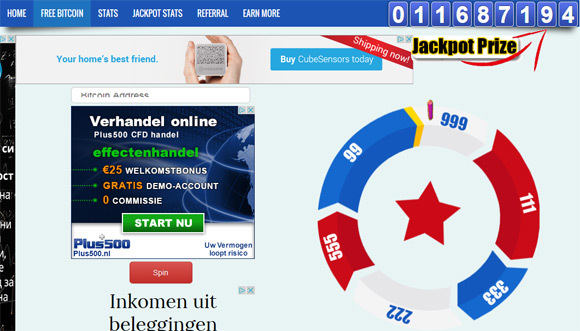 With the SpinandWinOnline faucet you get to rotate a wheel of fortune and based on your luck see the amount that will be rewarded to you from the faucet in the form of Bitcoins, the rewards are between 150 and 1000 satoshi. 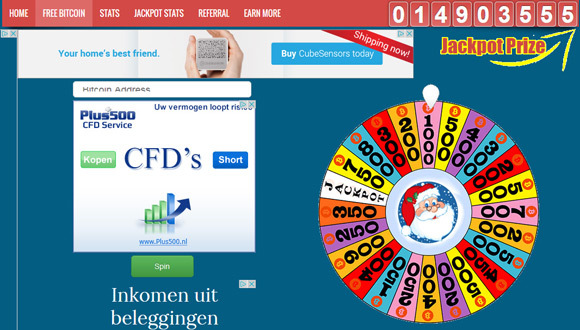 You can rotate the wheel of fortune every 10 minutes and get a new reward based on your luck, there are many sectors with various rewards available. 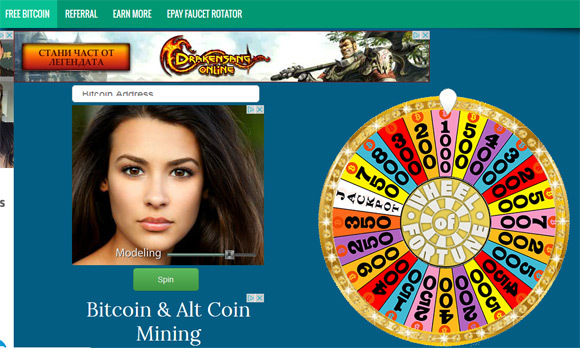 To get your reward from this faucet you need to enter your Bitcoin wallet address and click on the button Spin to get the wheel spinning and see how much you will win, then click on the button Next, enter the captcha and click on the Claim button to get you winning paid out to your ePay micropayment account. 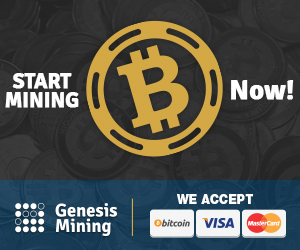 You can collect from multiple faucets in your ePay account and when the minimum amount of 5865 satoshi is reached the service will automatically send you the coins to your Bitcoin wallet address. When you refer users who use the faucet you will get an extra 75% of the amount won by the friends toy had referred to your account as a thanks. Don’t worry everyone will still win the full amount as per what the wheel of fortune shows. With the StarsBit faucet you need to rotate a wheel of fortune to see what size of reward you will be getting in the form of Bitcoins, the rewards are 99, 111, 222, 333, 555 and 999 satoshi and then there is the lucky jackpot sector in yellow that can land you millions of satoshi if you manage to hit it. You can rotate the wheel of fortune every 3 minutes and get a new reward based on your luck, there are many sectors with various rewards. 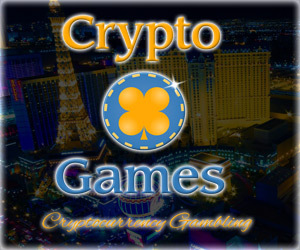 The faucet also offers an affiliate program that can bring you some extra earnings by introducing the faucet to your friends you can earn a bonus starting at 25% of their earnings while they still get their lucky spin of the wheel and the more people you refer, the higher your bonus will get. With the Goldsday faucet you need to rotate a wheel of fortune to see what size of reward you will be getting in the form of Bitcoins, the rewards are between 150 and 1000 satoshi and then there is the lucky jackpot sector that can land you millions of satoshi if you manage to hit it. You can rotate the wheel of fortune every 10 minutes and get a new reward based on your luck, there are many sectors with various rewards.